Dockmaster Leighton: There was a mishap when we were loading the most recent shipment for the Southwind Ferry Dock. 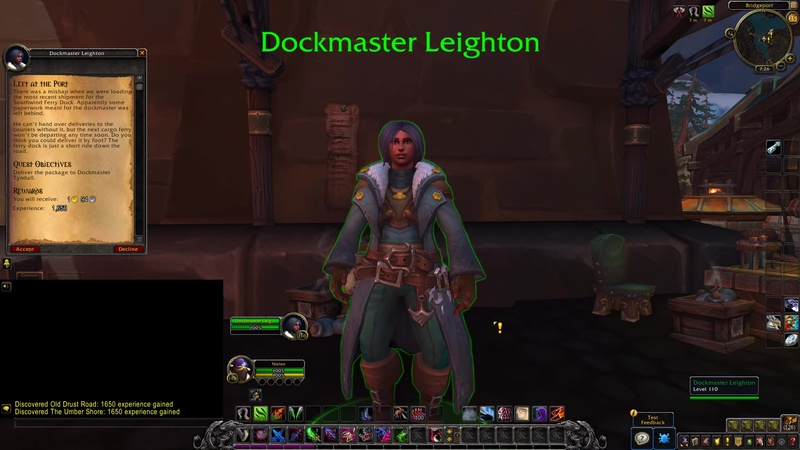 Apparently some paperwork meant for the dockmaster was left behind. He can’t hand over deliveries to the couriers without it, but the next cargo ferry won’t be departing any time soon. Do you think you could deliver it by foot? The ferry dock is just a short ride down the road. Deliver the package to Dockmaster Tyndall. 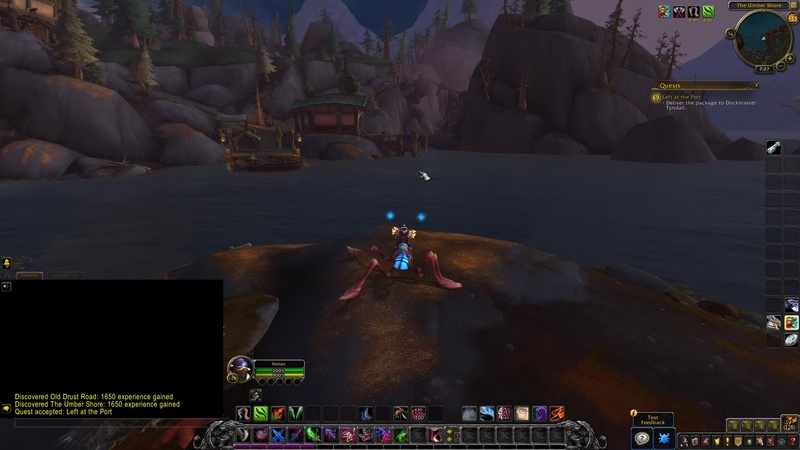 TIP: Easiest way to get there without getting lost is to mount up on your Azure Water Strider and follow the shore toward the west. First port you find is the destination: Southwind Ferry Dock. 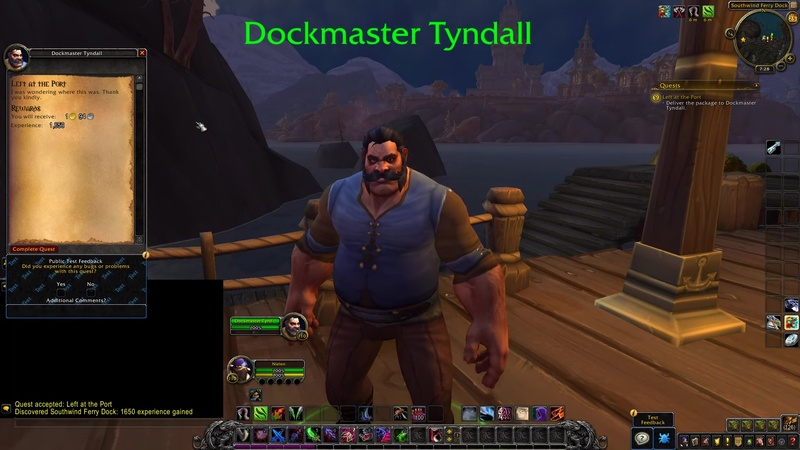 Dockmaster Tyndall: I was wondering where this was. Thank you kindly.